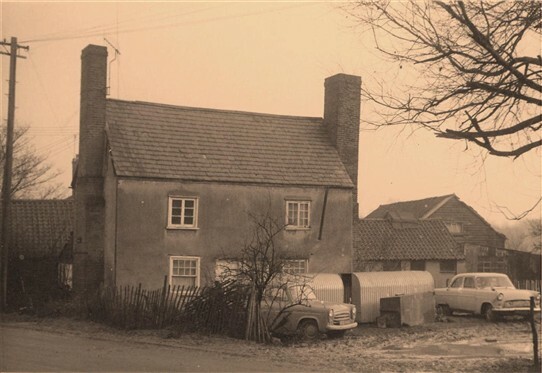 These old cottages were part of Pulpits farm and are now called Brook cottages. This picture is from the 1960/70s when they were in a pleasantly sad state. 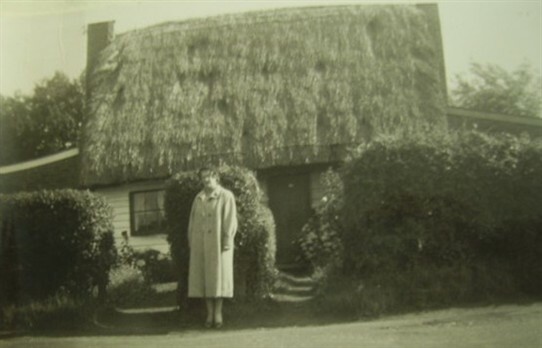 Photo submitted by Trevor Pastfield - "Granny Bright's cottage at Hockley"
This page was added by Nathan Bell on 11/04/2012. My great grandfather Walter Bright lived at 69 Greensward Lane in the early 1900s, which was next to Pulpits farm. He was born in the Dutch Cottage in Crown Hill, Rayleigh. I have a photo of the cottage which I will send. My third Great Aunt Sarah Camper lived here with her husband Thomas Shead Wilts in the late 1800's. I use to live in the cottages between 1960 and 1967. They were owned by my grandmother Phyllis Chapman-Smith. The doctors surgery was built next to them on the cottage garden during the 1970s. In the late 1970s they were sold off independently from old Pulpits farm where my grandmother and aunt continued to live until 1984. The parish boundaries were once quite complex in this area. The stream mentioned in my previous post was the border between Hockley and South Fambridge with Pulpits farm actually in South Fambridge! To confuse matters even more Greensward lane here was a boundary between South Fambridge and a detached part of Ashingdon! This all may sound rather useless information, but when looking up the history of Pulpits farm you may need to know it was once in South Fambridge not Hockley or Ashingdon. Not photos but some info…. Prior to WW2 there was an O/S benchmark on the chimney facing the road. (An upward pointing arrow with a horizontal line above it.) A new benchmark was provided on the bridge parapet, but this was removed when the stream was covered over. The stream ran along the NE side of the footpath where the foot access to the surgery door is now. I doubt that anyone walking into the surgery today realises that there is a stream under their feet! On the 1922 maps the cottage is shown as 96.4 feet high. The later benchmark on the former bridge is shown as 96 feet high on the post war maps.